At Ridgewood Veterinary Hospital we are committed to providing the very latest technologies and techniques to help pets enjoy lasting health and well-being. As animal lovers, we know that pets are an important part of the family. This is why our veterinarians serving those from Ridgewood, Midland Park, Mahwah, Paramus, and the surrounding areas of Northern New Jersey, provides veterinary ultrasound, X-ray, and endoscopy services, among other advanced treatments and techniques. 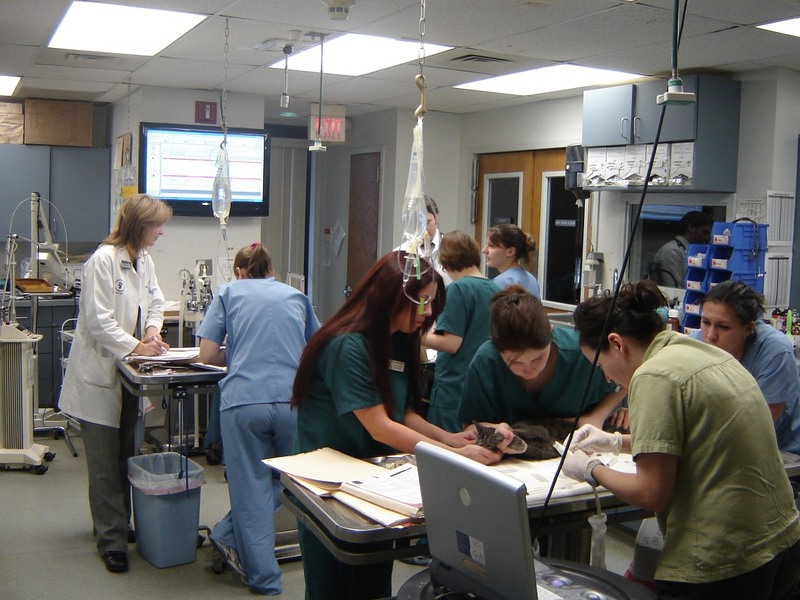 If you would like to learn more about our veterinary services, contact us today. 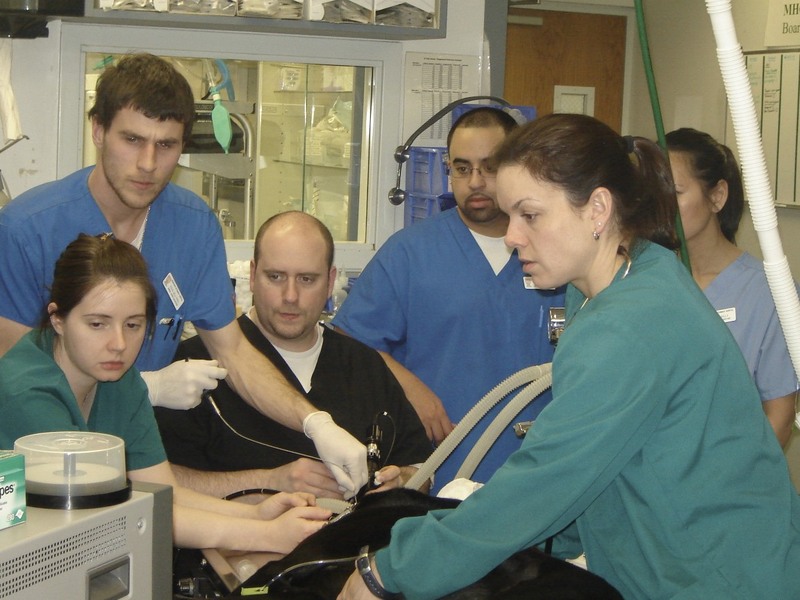 Not all veterinary hospitals utilize ultrasound technology. It is our goal to provide those visiting us with the most advanced possible care, and using ultrasound technology is part of our adherence to this goal. Ultrasound is used to create an image of organs and other structures inside the body. 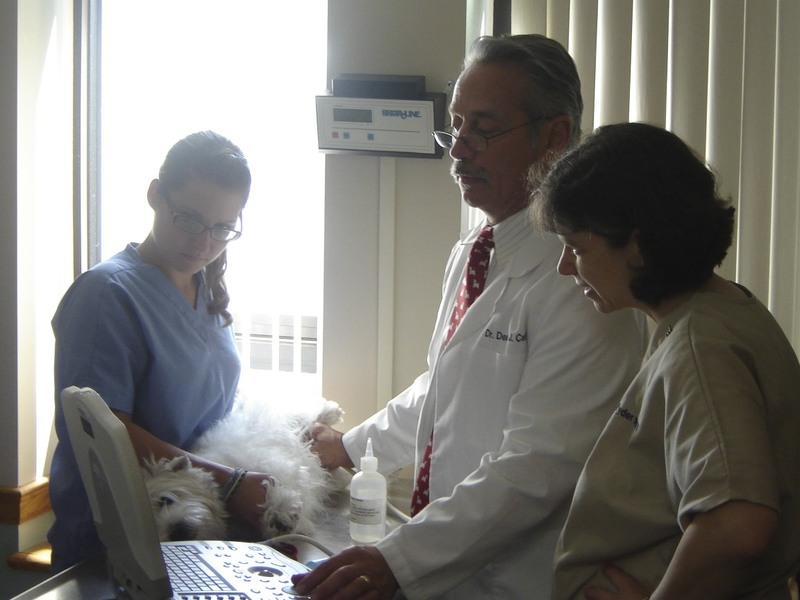 Veterinary ultrasound services are provided as a diagnostic tool in preventative veterinary medicine, to detect disease within the body without the need for exploratory surgery, and to monitor known conditions. At our veterinary hospital, endoscopy is used to provide less invasive surgical and diagnostic procedures. Our veterinary surgeons are experienced providers of endoscopic surgery for dogs and cats. Endoscopic surgery involves no incision to gain access to such organs as the esophagus, stomach, small intestine, urinary bladder, or respiratory tract. Essentially a tube with a small camera attached is passed into the organ allowing visualization of the area if interest. The veterinarian can then take biopsy samples, cultures and treat tumors with laser right through the endoscope without making an incision. With a less invasive procedure, pets experience much easier recovery periods and can return to daily activities more quickly. It is through X-rays that our staff can analyze issues of the spine to be treated with veterinary chiropractic care, diagnose hip dysplasia and other forms of arthritis in aging pets, and assess broken bones. In some cases, pets can also swallow household items. With the help of X-rays we can quickly determine if a foreign object was swallowed and how it can best be removed (possibly with endoscopy and no surgery). If you live in Ridgewood, Midland Park, Mahwah, Paramus or any of the other surrounding areas, our veterinary hospital can provide for all of your pet's care. From X-rays, to endoscopy, to ultrasound technology, our veterinary hospital is fully equipped to meet your pet's needs. To learn more, contact us today.